So even techies have a difficult time with technology! I’ve experienced so many tech isses over the last few weeks, my love for tech has become a love and dislike relationship at times LOL. Working with numerous tech corporations and startups, I understand tech terms but lately with waaaay too much on my mind (prepping for investor meetings, prototype development, and market research) I have forgotten simple terms SMH! 1st problem: Email setup, a simple process one would say. But for some reason I can not send or receive emails over the last couple of weeks. A big problem we you are waiting to hear from numerous people on important items. 2nd problem: Developing a website from scratch. Now I normally use a template like wordpress or wix.com but working with my developer we couldn’t find a template we liked, so we decided to create one. Now I’m still on the early side of learning coding, so making small changes to the site has become a very daunting task. 3rd problem: Computer isses, with: over heating, freezing, and the screen won’t connect during conference meetings. SMH! Now I have an apple computer, I should have no problems, right?! Wrong!! I haven’t had this computer for a year (it’s been better than my PC), but still too many problems. Appointment for the Apple store is scheduled. Now, a great entrepreneur should know every aspect of their company even the tasks they may not perform regularly such as programming. But one thing about years’ of business ownership is learning when to delegate, ask for help and/or hire the right people. 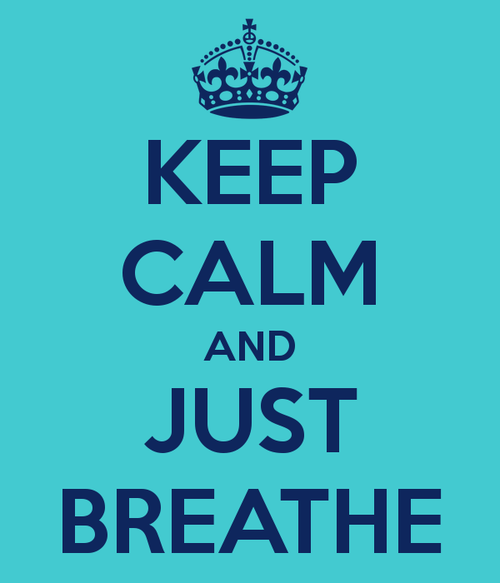 Solution: Keep Calm and…Just Breathe. As I try to complete a lot of tasks in a short amount of time including additional staffing and adding to the advisor team. I need to take mental breaks away from my computer to determine the tasks I should and should not focus on.